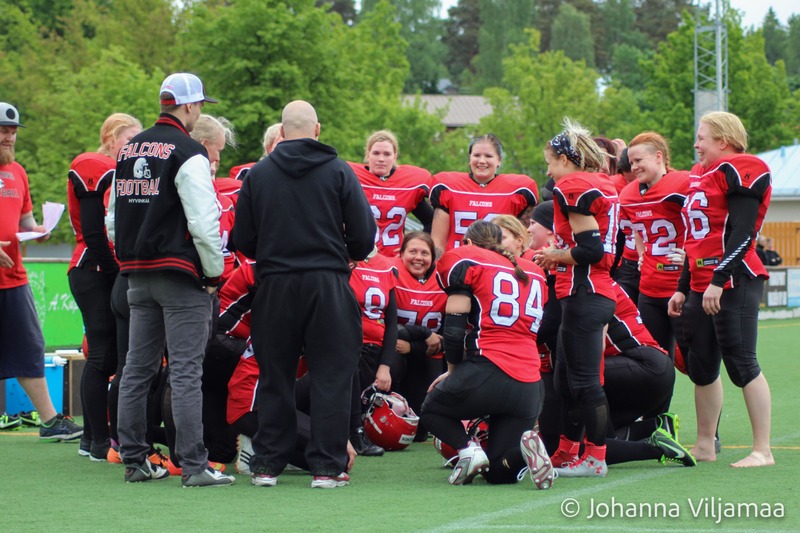 Falcons Ladies will open their home field season at upcoming Saturday when West Coast Phoenix arrives from Raisio. Team Hyvinkää has already started the season with away game against Porvoo Butchers which ended as victory for Falcons. During last season Hyvinkää and Raisio met only once and that time Hyvinkää emerged victorious. Formerly known as Raisio Oakladies, the current team will start their season with new name and renewed roster. Right at the edge of the season Phoenix had a nice surprise when experienced lineplayer, Janina Lehtonen, joined the team after her maternity leave. Lehtonen is able to contribute in offence- and as well as in defense lines and with her experience she brings versatility and leadership to team’s line play. Together with Jenni Nurmi who transferred from Turku Trojans, Lehtonen and her teammates creates rock-solid defense line. Also Falcons has fortified their ranks with new players so one can expect to see interesting match between these two teams. Pia Kosonen – Fantastic first game of the career behind of her. Will the glory continue at the home game as well? Sini Lilja – We can expect big plays with the ball. Defense line – With strong energy they will give huge support for the team. First home game of the season 2016 for the ladies will be played at Kankuri field. The match will begin by 13:00. Be there! There is open kiosk which will offer you sausages & refreshments, doughnuts & coffee!